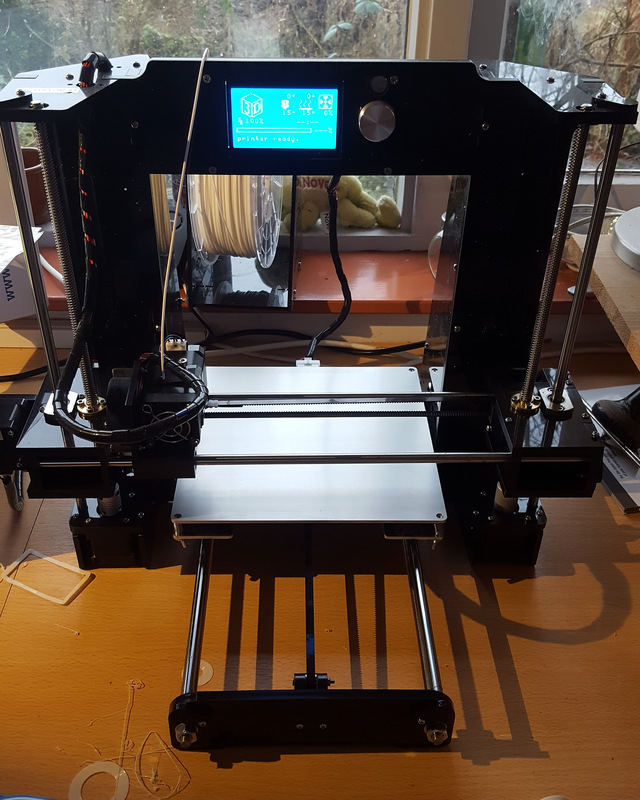 3D printers are getting more affordable now, and although I originally bought one for my wife, I was absolutely certain that it would be useful for my home brew stuff too. Recently my wife Wytske PD2W applied 3D printed objects in her artworks. She mastered Blender (an advanced 3D design program) and used it to produce printable objects. 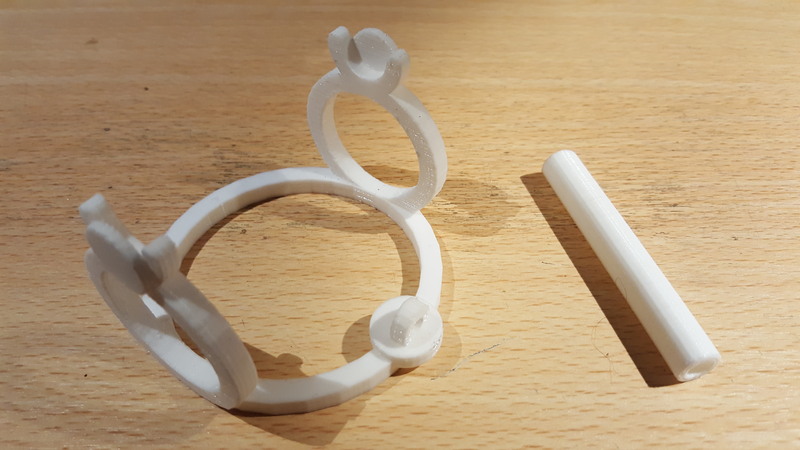 Using 3DHubs (an worldwide community of people who offer 3D printing services) she found a local guy who owns a couple of those printers and was willing to print her designs. The result was really nice and good value for money. Since 3D printers are getting more affordable nowadays, I decided to buy one for her, although I was quite sure she wouldn’t be the only user. 3D printing offers lots of possibilities for home brew, especially on the mechanical part. You can easily print boxes, front panels, knobs, gears, stands, antenna materials, insulators, etc. 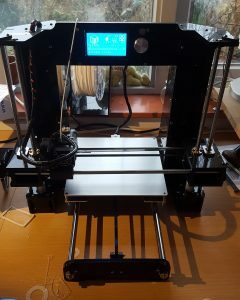 Our 3D printer: the Anet A6. Our new printer is an entry level machine: the Anet A6. You can buy a kit on the web for about $300. It took me almost a day to assemble it, but in the early evening the first prints appeared on the print bed. The third print was actually the first successful one. Most succeeding prints were successful at once, although I’m still playing around with all the settings. Calibrating the print bed is one of the most important things to care about, it took me quite some patience to correctly adjust it. So what’s the first thing you would like to print for your shack or home brew stuff? Well, my first project was a solder holder. 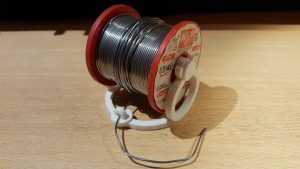 That spool of solder was always wandering around my desk. Sometimes I got almost entangled in my own solder lead! The solution was simple now: print a solder holder. Since I’m not that familiar with Blender, I looked around for alternatives and found a free online 3D editor called Tinkercad. I succeeded in drawing a nice spool holder. I applied lots of circles in the design, since the spool itself has a circular shape too. 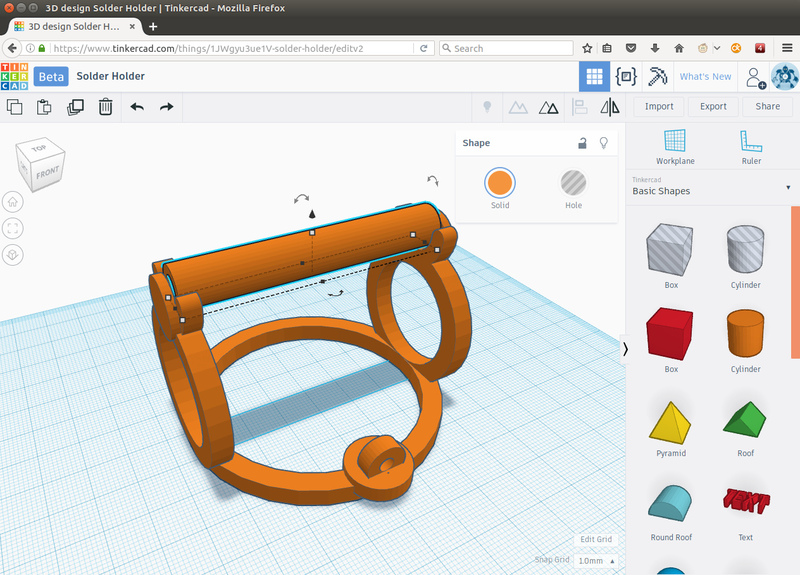 Designing the solder holder in Tinkercad. After an hour or so I finalized the design and transferred it to Cura for prepare the design for my printer. Preparation includes “slicing”. Since my 3D printer prints a long thin wire of plastic, so you need software to transform your shape in a long wire. This process is called slicing. Other things you have to do in Cura is configuring your printer settings like print speed, layer thickness, printing temperatures (nozzle, bed), etc. Finally I transferred the output to my printer and started the machine. Soon the design came to life on the print bed. After a couple of hours of printing the work was done. 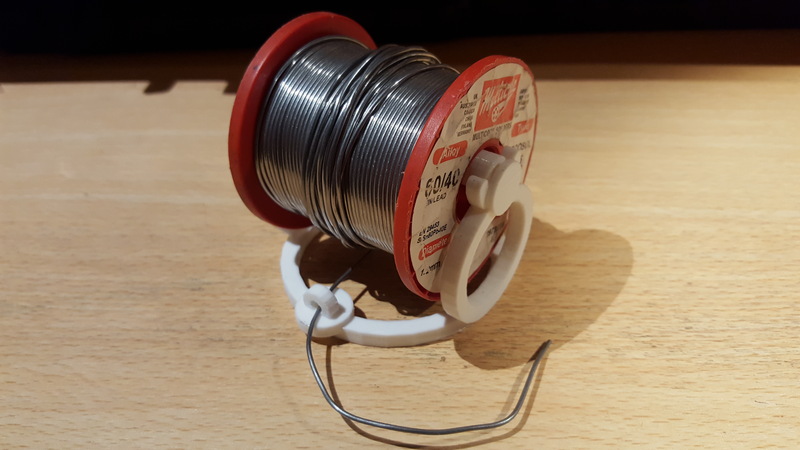 I immediately placed a spool of solder in the holder and from that moment it never left. The solder holder with spool is on my desk now, being proud to be my first start-to-end 3D printing project! From now on 3D prints will often become part of my home brew projects. The solder holder consists of two parts: the stand and the bar.